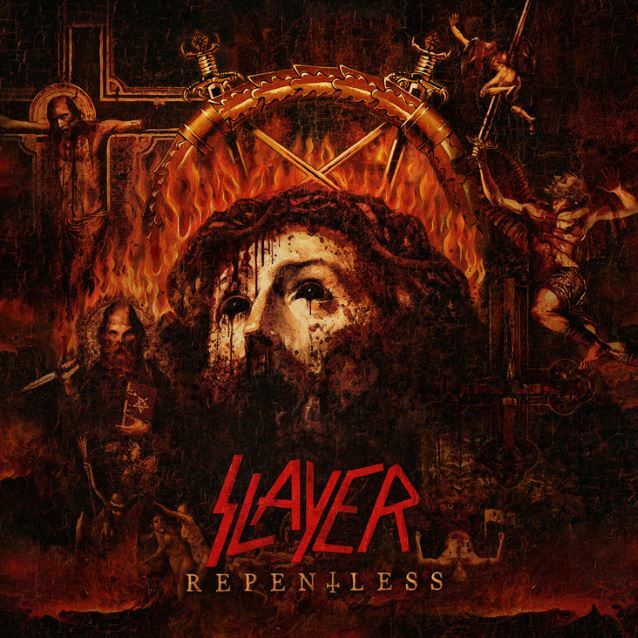 SLAYER's "Repentless" debuted at No. 4 on The Billboard 200, having shifted 50,000 equivalent album units in the week ending September 17. "Repentless" now also holds the record as the band's career-highest chart debut in Germany (No. 1), Holland (No. 2), Australia (No. 3), New Zealand (No. 8), the U.K. (No. 11) and on the Japanese International Chart (No. 1). It bowed at No. 3 in Finland, No. 4 in Belgium, and No. 5 in both Sweden and Greece. Additionally, the album debuted in the Top 10 in France (No. 7), Italy (No. 8), Hungary (No. 9), and Japan (No. 10). "The entire Nuclear Blast global team thanks SLAYER and their loyal fans everywhere for the tremendous first-week success for 'Repentless'," said Gerardo Martinez, Nuclear Blast's General Manager, USA. "SLAYER made an amazing album that stayed true to who the band is, and the fans' overwhelming response is proof of that." 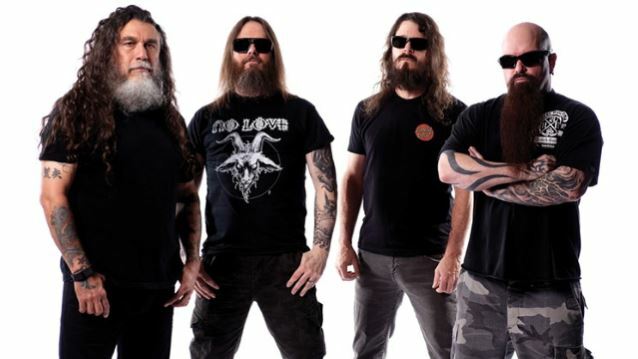 SLAYER's previous album, "World Painted Blood", registered a first-week tally of 41,000 to land at No. 12. 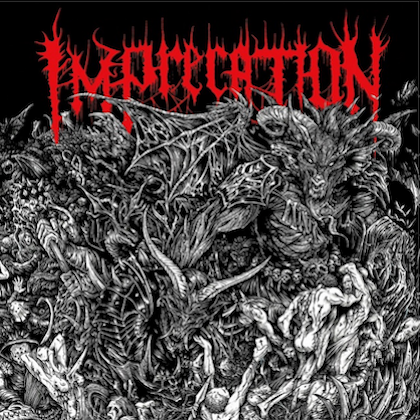 The band's 2006 CD, "Christ Illusion", premiered with more than 62,000 units to enter the chart at No. 5. SLAYER reached No. 8 with its 1994 release "Divine Intervention" after moving 93,000 copies of that album in its first week. SLAYER's 2001 album, "God Hates Us All", opened with 51,000 copies to debut at No. 28, while 1998's "Diabolus In Musica" sold 46,000 units in its first week, landing at No. 31. "Repentless" was released on September 11 via Nuclear Blast. 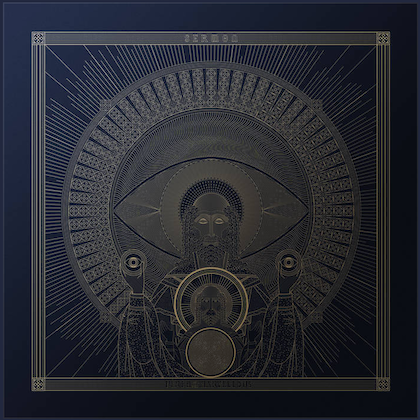 The follow-up to 2009's critically acclaimed, Grammy-nominated "World Painted Blood" was produced by Terry Date, who has previously worked with PANTERA, DEFTONES and SOUNDGARDEN. * Limited edition "Metal Eagle Edition"
The artwork was created by Brazilian artist Marcelo Vasco in collaboration with the band's Tom Araya and Kerry King.